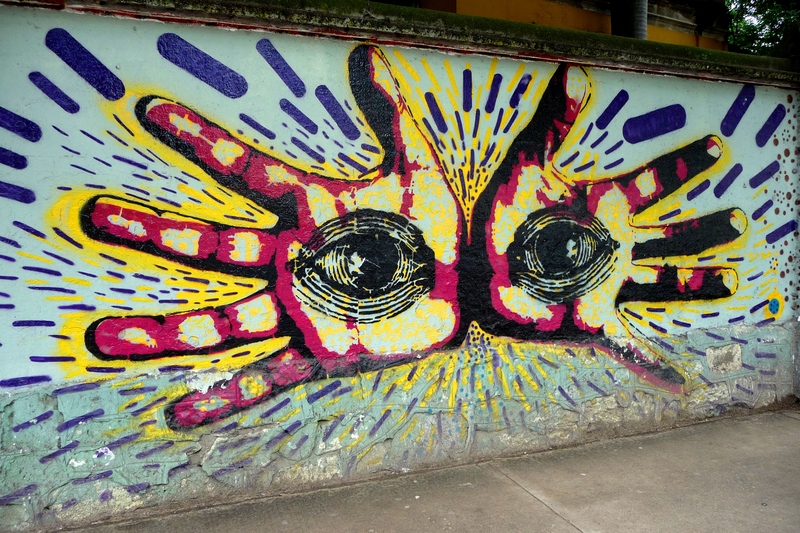 After first arriving in Oaxaca, Mexico it was hard not to be struck by the amount of artwork adorning public spaces – from walls to bridges and pavements to roofs. There are pieces that remain in place for weeks, months or even years, while all the time I am surprised by new pieces springing up out of nowhere. Some just outside my door, others in tucked away spots I have been lucky enough to stumble across. 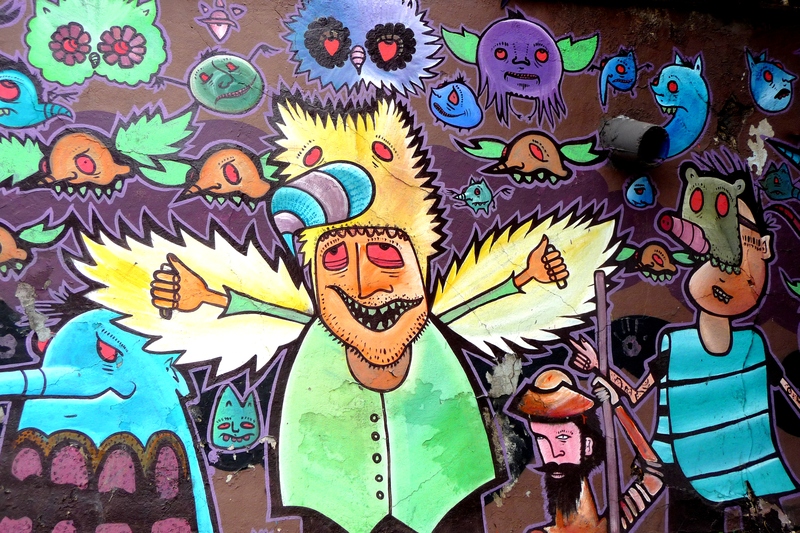 What is really so amazing about this phenomenon is the quality of work – not just someone tagging initials or names on walls, but beautiful murals, interpretive pieces, political criticisms… the list goes on! This form of art is clearly designed to make the viewer think more closely about some aspect of the world, to raise consciousness about social, cultural or political issues, or just to contribute some small amount of happiness to the world. 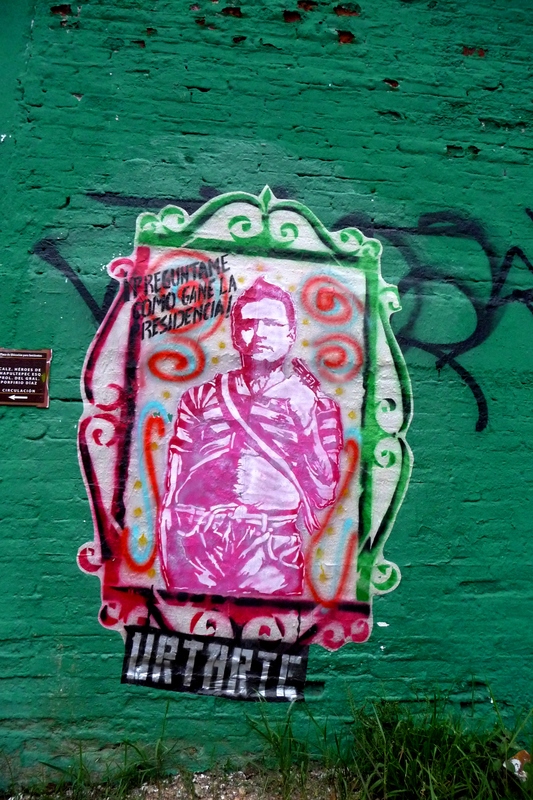 Oaxaca’s street art has an interesting history – in 2006 the people of Oaxaca revolted against the corrupt state governor Ulises Ruiz Ortiz, demanding his resignation. Widespread protest, plantones (city encampments), radio station takeovers and road blockades gave way to deadly clashes with the police and eventually the arrival of the military. 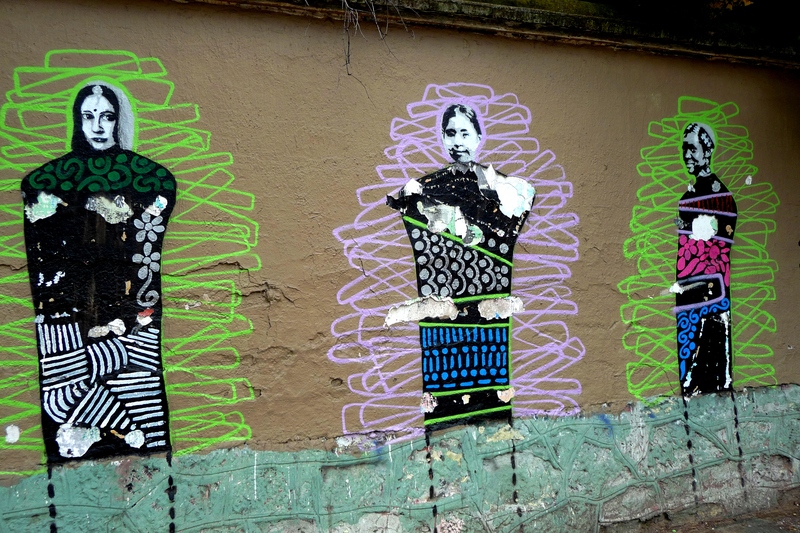 Despite living in harsh, repressive conditions the people of Oaxaca still found a way to come together – to resist, to organise and to help one another. 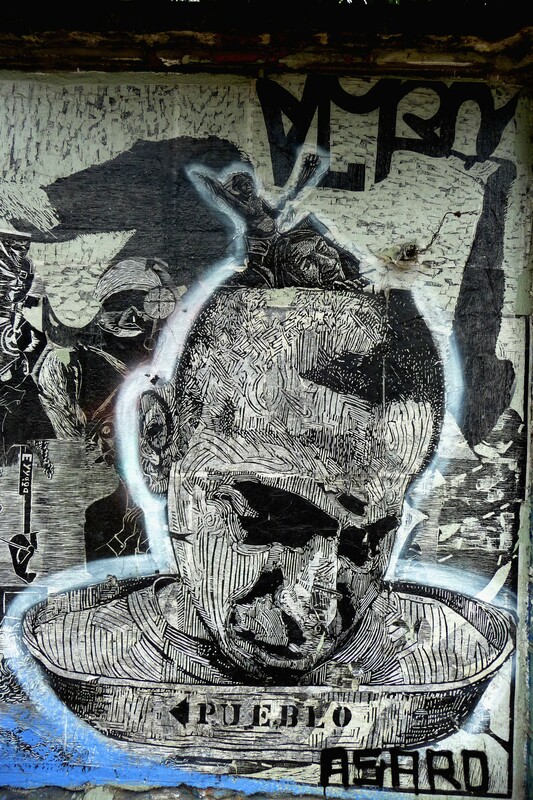 It was at this time that a street art movement formed and gained momentum as a form of protest. It gave people a space to speak out and condemn the abuses of power, but also importantly it was a way to engender rebellion and raise awareness of shared realities. 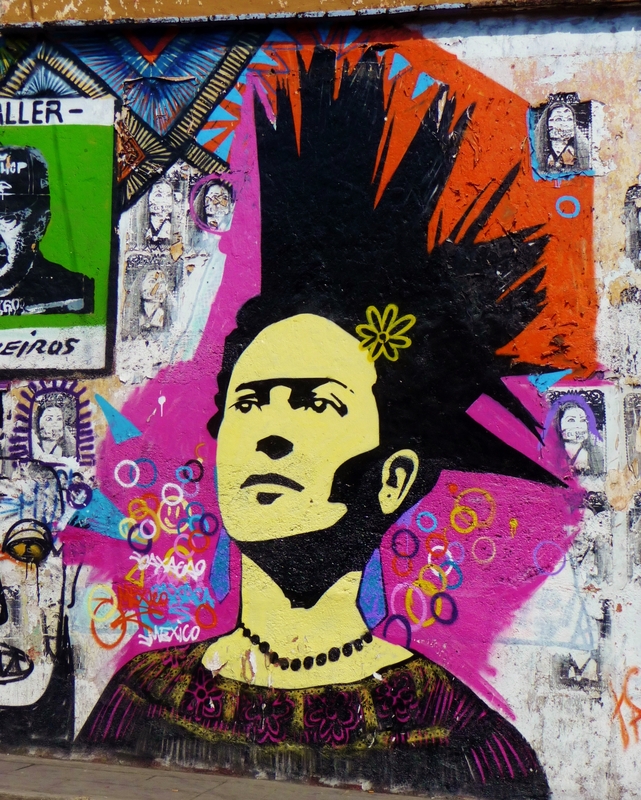 Revolutionary artwork has a long and proud history in Mexico, with the likes of José Guadalupe Posada, Diego Rivera, José Clemente Orozco and David Alfaro Siqueiros. What is happening today in Oaxaca clearly builds on this tradition, but has also managed to push out the boundaries – it is after all not just the work of one person, but a collective of independent artists. Surrealism, the fusion of ancient cultures with modern twists and political commentary all find a home in this rich melting pot of artistic expression. 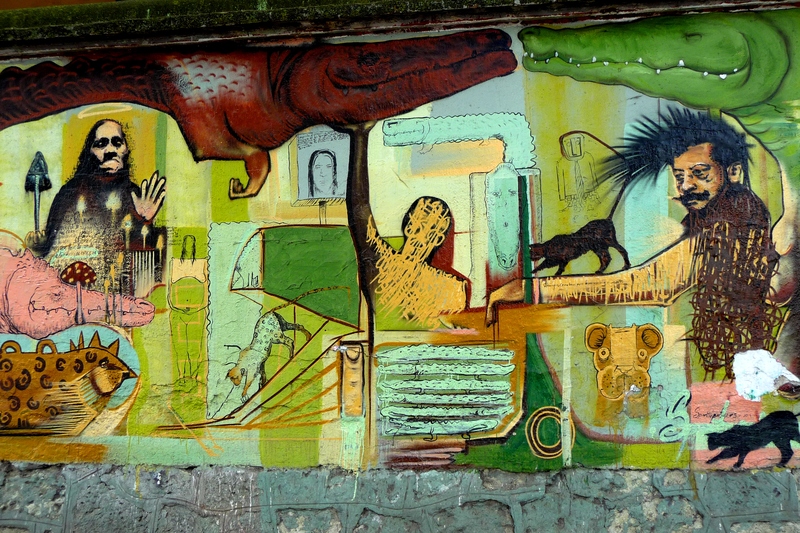 It is fantastic to see that six years after its birth street art is still flourishing in Oaxaca, enlivening the everyday cityscape and opening up the realms of possibility for what is yet to come. I just wanted to thank you for sharing this work. You provided a wonderful tour! thank you – I am glad if you enjoyed it! This is awesome. I love this stuff like you don’t even know. Yet another reason why I need to go to Mexico. yeah – do it, do it! I really need to go back to Mexico. Reblogged this on The Reluctant Hypocrite. All the works here are amazing; very expressive and really makes one think of society. I hope that one day I can do something like this in our country. 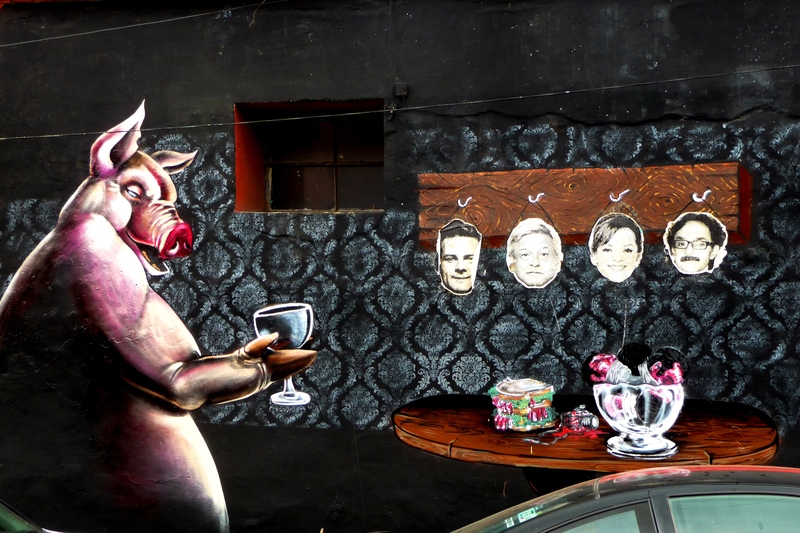 🙂 I think street art is unheard of here or it may have caught on but the artists fined or worse if it’s political statement. I agree, I think it is what makes it such a powerful form of expression. Whereabouts are you from? 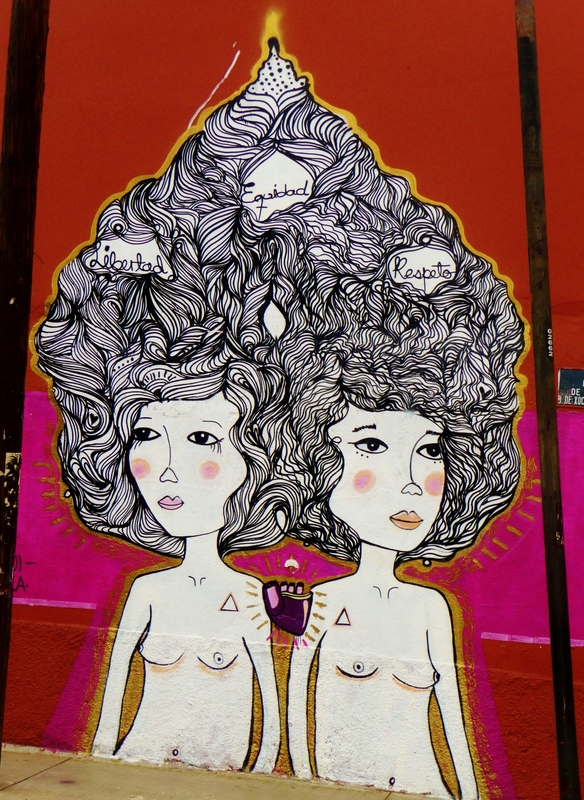 I went to Mexico many years ago and saw many paintings on the walls of the buildings. I was impressed and never understood that in New York City they considered it vandalism. Pretty awesome way to peacefully make your voice heard. 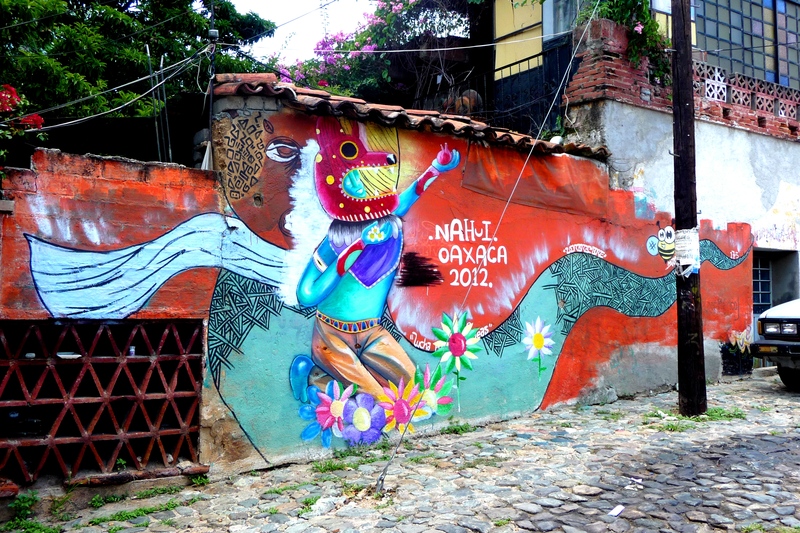 I want to visit Oaxaca one day. I must. Does anyone know the artist names? Great read! Love the art. Fantastic post! I’m a huge fan of street art and I think it’s a real shame that so many people still see a lot of it as “graffiti” and not the art that it truly is. Thanks for helping get the message out there – this kind of art work is SO important to a city’s culture! I totally agree – I wish I saw more art of this calibre elsewhere! Heavy repression often brings out some of the best ‘political’ art. Look at history (before the Internet.) It was one of the only means of ‘expression’, and when ‘Corporate America’ kills the ‘NET’, it will be all we have left. Amazing pictures! The artwork is spectacular. 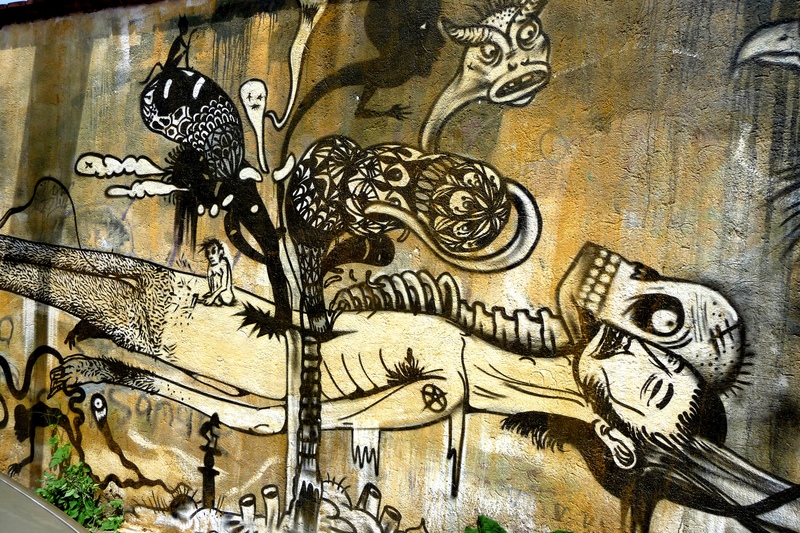 I love Oaxaca street art! I really wanna photograph it…. 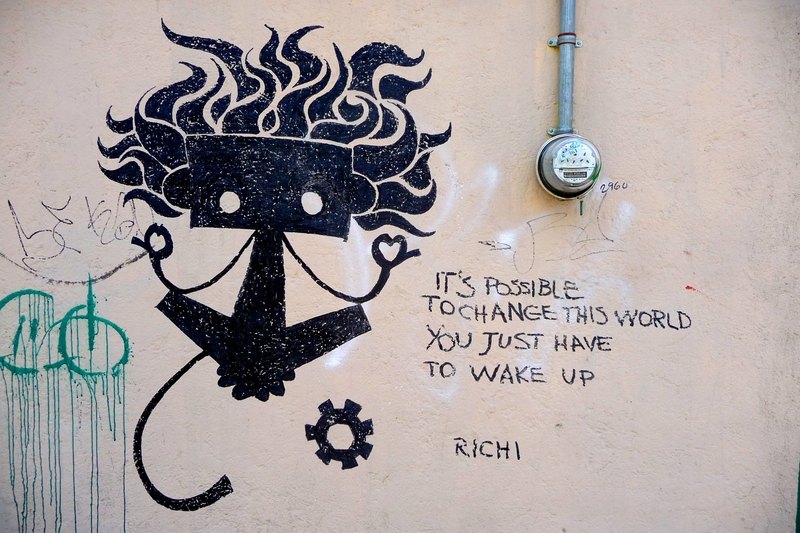 I love street art so thanks for that. A city of artists. Osaca should be an international living art museum. Thank you, your writing is just as noble as is the art. You are so welcome. Warmest regards to you and all of Oaxaca’s people for such a show of good spirit. I really like the artwork that you posted. 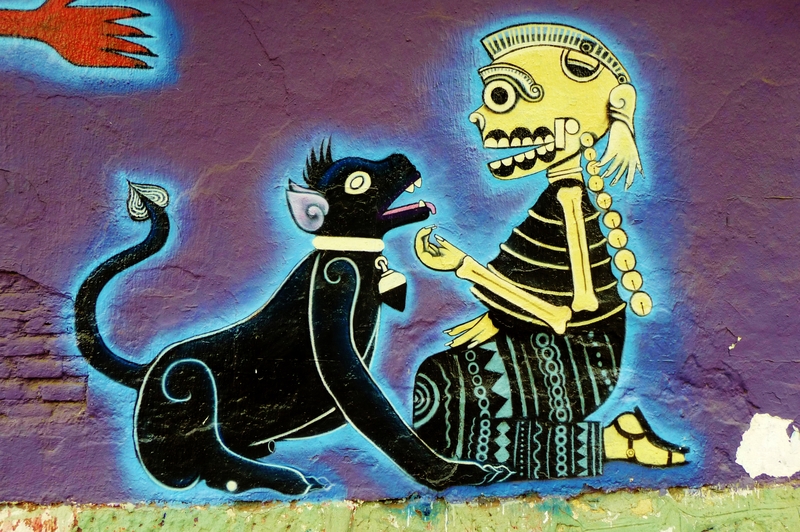 Would you say that the displayed artwork creates a sense of camaraderie amongst the people of Oaxaca? It’s hard to say really – I am sure it is meaningful for some people, but what I think is interesting is the artists collectives that have sprung up to provide support for each other. There is strength in numbers! Yes, that’s really cool! 🙂 Thanks for sharing! Love the art and the deep perspectives. Such a beautiful example of how powerful art is! Truly inspiring.